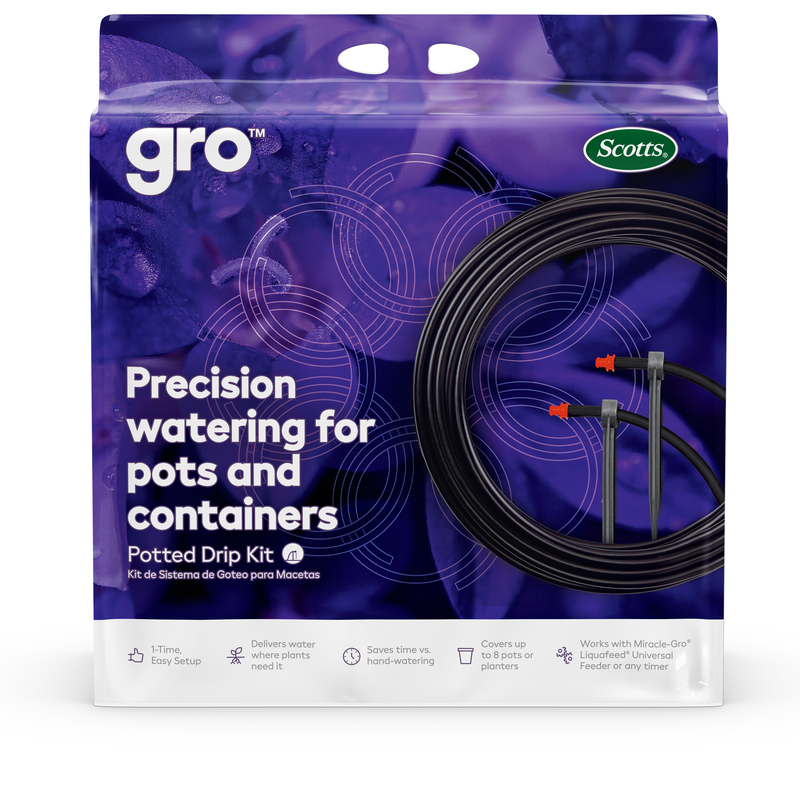 Gro is an easy-to-use system for precision drip watering with an elegant, descreet, flexible footprint that allows you to set-up once and water all season long. 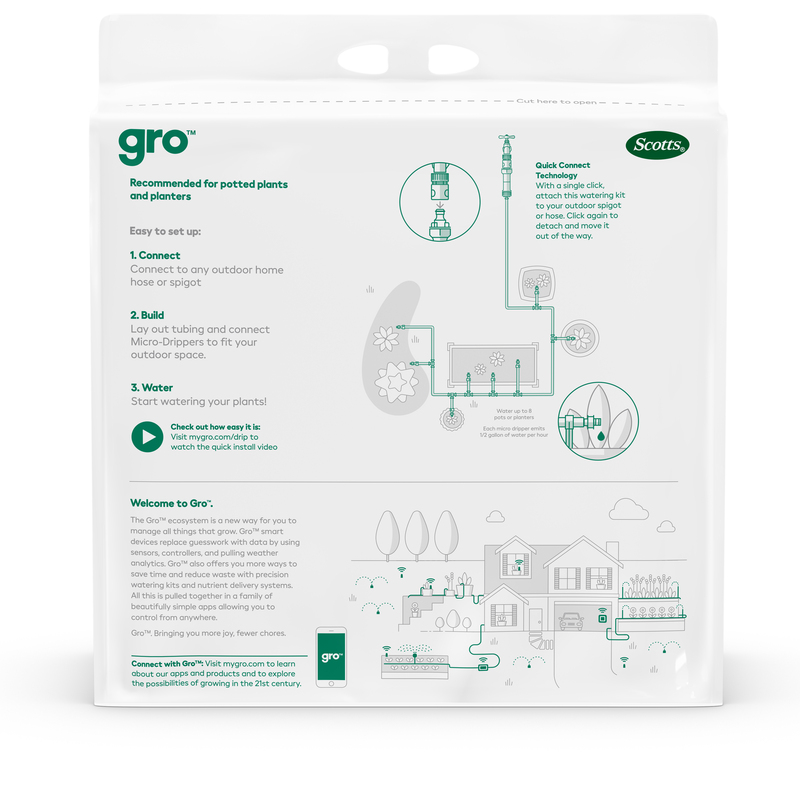 Perfect for pots, patios and planters, the Gro Potted Drip Kit provides a fully customizable system that allows you to set-up once and deliver water to multiple plants right where they need it most. Never drag around the hose or a heavy watering can again. In just 3 simple steps you can save time, water and backache with hands-free, precision watering all season long. Connect - Connect to any outdoor home hose or spigot. Build - Lay out tubing and connect Micro-Drippers to fit your outdoor space. Water - Start watering your plants! Satisfaction Guaranteed or your money back. If you are not satisfied, return the product and all pieces to Scotts Miracle-Gro Products, Inc. P.O. Box 606, Marysville, OH 43040 Limit: One product per family.